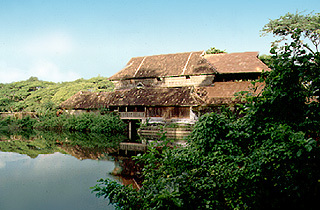 Built by Marthanda Varma, this palace at Karthikapally in Kayamkulam is famous for its mural depicting the story of Gajendramoksham. Dating back to the 18th century, this exquisite piece of art is one of the largest murals in Kerala. The palace museum houses antique sculptures, paintings and bronzes.